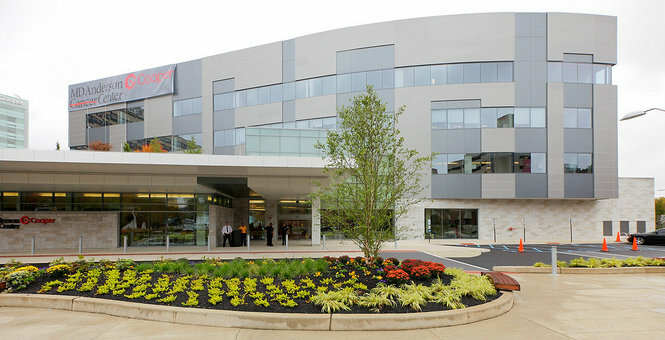 Building America CDE, Inc., a subsidiary of the AFL-CIO Housing Investment Trust (HIT), has made an allocation of $7 million in New Markets Tax Credits (NMTCs) to the Cooper Cancer Institute in Camden, New Jersey, for construction of a new $58.8 million state of-the-art medical facility. The four-story, LEED-certified building will allow the Institute, to significantly expand its cancer treatment programs and clinical research activity as well as community education and outreach. The project is part of the city’s larger Cooper Plaza Redevelopment Plan, designed to revitalize the historic but blighted Cooper Plaza neighborhood. In an area that is suffering from a 10% unemployment rate and a poverty rate of almost 40%, the project is expected to generate more than 400 union construction jobs, over 280 additional construction-related jobs, and 52 permanent jobs on-site. In addition to Building America’s $7 million allocation of NMTCs, financing for the project includes another $15.8 million in tax credits from other community development entities, including PNC, and Dudley Ventures. The project is also supported by financing from The New Jersey Department of Health and Senior Services, The Delaware River Port Authority, The Cooper Foundation, and The New Jersey Economic Development Authority. The Cooper Cancer Institute is sponsored by the Cooper University Hospital, a non-profit organization that has been a source of healthcare, jobs, and economic development for Camden and the surrounding community for 125 years. The project site is located in a severely distressed Census tract that is federally designated as a medically underserved area.